Prompto Argentum, companion to Noctis is our next hero to get an update to level 300. His new abilities are focused on city assault and rally attacks. Prompto is the weapons specialist and this fits with that title pretty well. When you level him up to 201, you will see that you get to raise his maximum MP, just like the other heroes that have gone past 200 this far. It seems we can see that as a trend for future heroes. We will discover the new additions to his skill tree in this article and you can decide whether he is a benefit to you in your empire. Unlike Noctis’s varied skill set, Prompto has a more attack focused hero skill tree. Every single skill is useful in your city attacks. Starting with attack march speed to the armor shredding, you will find that his abilities increase with every level up. Leveling past 200 is no different and you not only get increased benefits of some of his prior skills, but we get more skills added to the bottom of his skill tree. If you need to change some of his skill sets around to reaffirm him as your attacking hero, all you need is a Hero Skill Reset. You can find these in packs, or for free from some events and even in the Moogle Market! Did you set the max AP for Siege attack, but you no longer use siege? Don’t worry, you can reset his AP points and redo the skills for your newly updated hero. Maximum MP: Unlocks at Prompto Level 201. 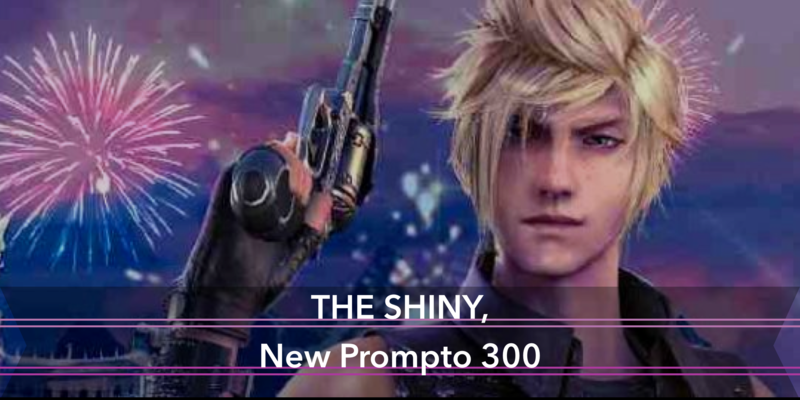 Increases the maximum MP for Prompto up to a max of 200% Be sure to wear your best MP gear along with MP gems when leveling up Prompto to not miss out on any precious MP. Juggernaut Attack II: Unlocks at Prompto level 201. Increases the attack of your juggernauts up to a max of 2,000,000%. This boost is nice combined with the Leviathan astral boost, or to use with your guardians for even more power. City Assault Armor II: Unlocks at Prompto level 201. Provides an armor bonus for all troop types when attacking an enemy empire up to a max of 4,500,000%. Remember that this boost doesn’t apply unless you are actively attacking an enemy’s citadel. So it will not work in defense, on tiles, or in the crystal. City Assault HP II: Unlocks at Prompto level 201. Provides an HP bonus for all troop types when attacking an enemy empire up to a max of 1,100,000%. This is a huge difference from the prior skill that maxes out at 308%! City Assault Attack II: Unlocks at Prompto level 201. Provides an attack bonus for all troop types when attacking an enemy empire up to a max of 2,400,000%. When you see “all troop types” it applies to every troop in the march, even mercenaries and elemental troops. Rally City Assault Attack II: Unlocks at Prompto level 201. Provides an attack bonus for all troop types when rallying against an enemy empire up to a max of 2,500,000%. This is one of the stats that prove Prompto’s worth at demolishing your enemies! Rally City Assault HP II: Unlocks at Prompto level 214. Provides an HP bonus for all troop types when rallying against an enemy empire up to a max of 2,400,000%. You can see that a high-level Prompto will be beneficial in your rallies. You already know that these skills only apply while Prompto is active and in the march with your troops. This is what makes each hero special in their own way. With the release of heroes over 100, we were able to see a new Hero Mastery Skill tree. These boosts are passive and apply no matter if that particular hero is active. The following are the new mastery skills that leveling up your Prompto will bring to your empire. Ultra Rally Capacity: Unlocks at Prompto level 225. Dramatically increases your rally capacity while any hero is active up to a max of 2,000,000. When you level up your empire, you will find that your rally capacity gets even larger and is getting harder to fill until everyone’s march size gets larger. 2,000,000 seems to be a drop in the bucket compared to the other rally capacity boosts. But until you get up to the 90’s citadel levels, this should help you out. Limit Break Swiftstrike: Unlocks at Prompto level 232. Unlocks the Swiftstrike enchantment for footwear in the Arcanaeum which provides an increased rally attack up to 5,000,000% and reduces your rally start time by up to 25%. When Prompto is active, monsters have a chance to drop items for the enchantment. Surprise your prey by releasing your rally in a shorter amount of time than ever before! These are some of the mastery skills that Prompto unlocked at level 101+ that you can increase now that he is over 200. Prompto regains his place as the rally leader to guide you to victory in your attacks. His ability to shorten the duration of your rally will catch your victims off guard. His 20% armor shredding hero skill along with the right gear and his Bioblast enchant will strip even the strongest empires of their defenses. I’m really loving the added MP to all the heroes above 200. It really helps us with the increased MP costs of the level 8 monsters that we have after unlocking Noctis’ hero mastery skill. Use this wisely along with the new MP carryover boost and you can level up your hero at any time without wasting precious MP. Regal medals are used to level up Prompto after level 200. These will take you all the way to 300. Make sure you unlock Prompto’s hero skill for added MP to take advantage of leveling him up. If you were able to grab his hero MP carryover boost, use any MP boosts that you have to mass level to get a ton of MP! You won’t lose the extra MP since the carryover boost keeps any MP you have from boosts and leveling up. Using Prompto to hit monsters will give you the chance of getting the materials needed for both of his limit break boosts. Starting an attack or rally with Prompto in Winged Assassin’s gear and your best march speed gems will allow your march to speed to the destination. Be sure to switch to your attack gear before it hits! A lot of strategic players use this gear when attacking Neutral empires along with Prompto and lightning cavalry for the fastest march. Use anti-armor shredding boosts to defend against an enemy with armor shredding. Adding a Reapertail monster to your march or your wall, using Ignis’ limit break enchantment, and equipping your hero with Aegis boots will all give you an anti-armor shred boost. But shhhhh! Don’t let anyone know our secret. Prompto was the first hero that was released besides the original hero, Noctis. He quickly became the go-to for the strong attackers in the realm and it seems that it was no coincidence that RvRs started at around the same time. Now with the release of an even higher leveled Prompto, we get even more attack and rally skills that you can use to demolish your enemy. As a mostly defense player, Prompto was probably the last hero I unlocked before Iris came out. His skills didn’t suit my playstyle, but his hero levels and MP were too valuable to let him remain locked forever. Adding to his MP bar makes him even more valuable to every player that is able to level him up for monster events. Find out how to take advantage of every hero level and MP here. Even if he isn’t your go-to hero for attack or defense, his enchantments are one of the nicer ones due to his armor shredding ability. Armor shredding takes away a percentage of your opponent’s total armor. For example, if your opponent has 5,000,000% total armor and you have 50% armor shredding, that will leave them with 2,500,000% armor. Armor piercing takes away an exact number of armor. So if your opponent has 5,000,000% armor and you pierce 100,000% of it, they will remain with 4,900,000% armor. Total armor includes city defense armor, troop armor, elemental armor, city assault armor, etc. it does not include astral armor. I hope that helps you figure out how to set your attacks or build your empire for defense. This is one of the biggest questions that people have when trying to figure out how their debuff boosts work. What are your favorite Prompto abilities and how do you use them? Do you lead attacks in your guild to take advantage of his rally time reduction and increased march speed? Let us know on Discord or Line how you use your Prompto and compare it to other players. You might be able to discover something new to add to your gameplay! Tylianna is a homeschooling mom of five wonderful girls. Her hobbies include baking, reading, and bargain hunting. She frequents the nerdy chats in game discussing strategy and helping others with information.